Here are some Powell family photos of my grandparents, Guy Moreland Powell dob 7 June 1902 in Red Oak, Ellis County, Texas dod 19 Oct 1960 Kerrville, Kerr County, Texas, married 7 Aug 1926 in Texas A&M College Chapel, College Station, Brazos County, Texas to Agnes McFee Milroy born 28 Dec 1897 in Navasota, Grimes County, Texas and dod 4 June 1975, Kerrville, Kerr County, Texas. 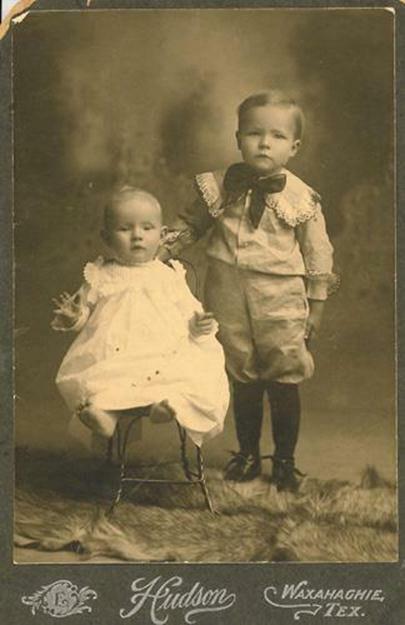 Guy Moreland Powell born 1902 on right and his baby brother, Cecil Powell born 1905. Young Agnes Milroy around age 14. 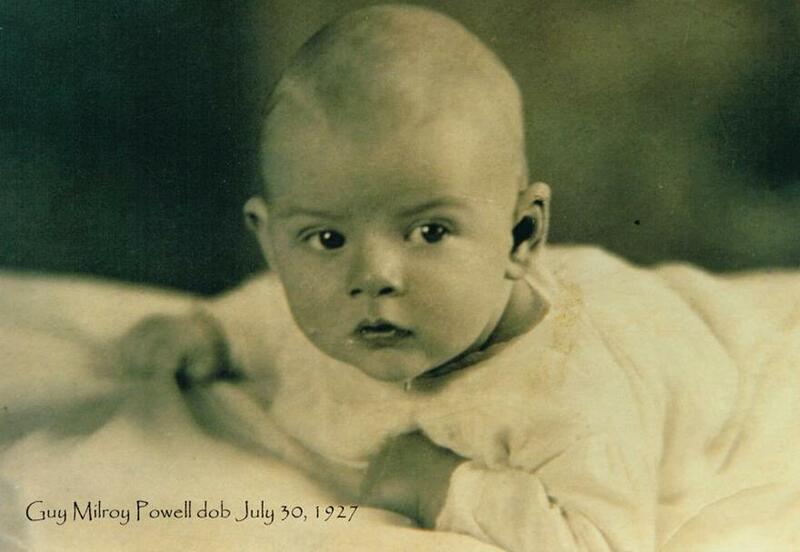 My Daddy, baby Guy Milroy Powell born July 30, 1927. My Daddy with his cute cowboy boots! One of my favorite pictures! 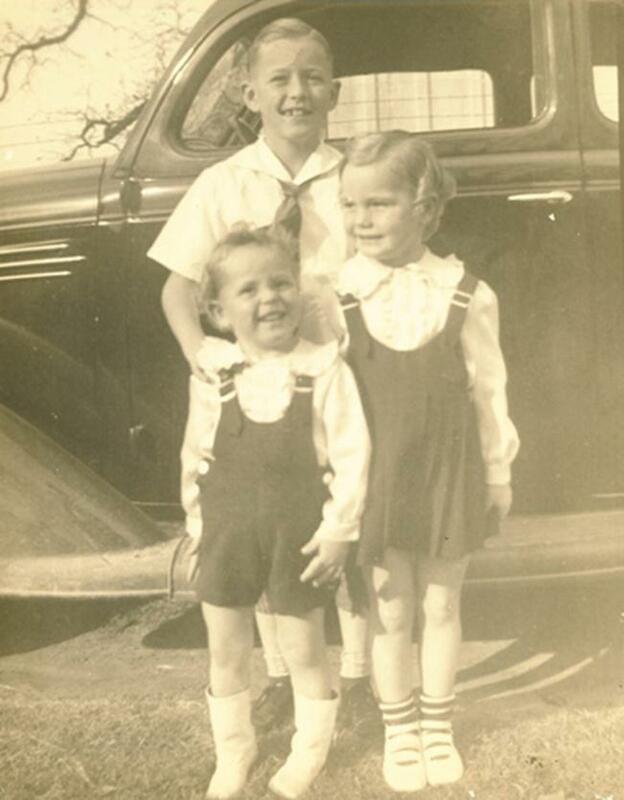 Taken in 1937 Gatesville Texas back yard on Bridge Street; children of Guy and Agnes Powell. 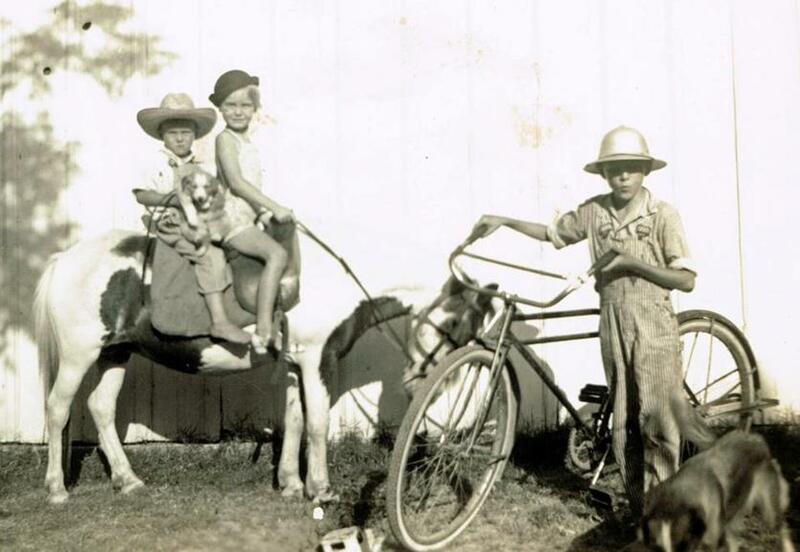 Big brother Milroy Powell, age 10 with bicycle and dog Missy; youngest John, age 4 riding pony Nellie with sister Emily, age 6. 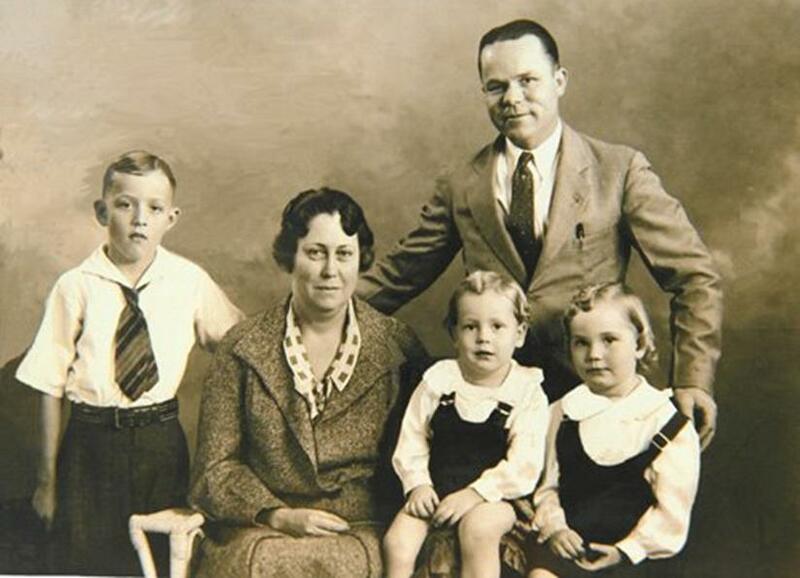 This photo was taken in College Station and is Guy Powell and wife Agnes Milroy Powell with oldest son Milroy on left, middle is son John and daughter Emily. 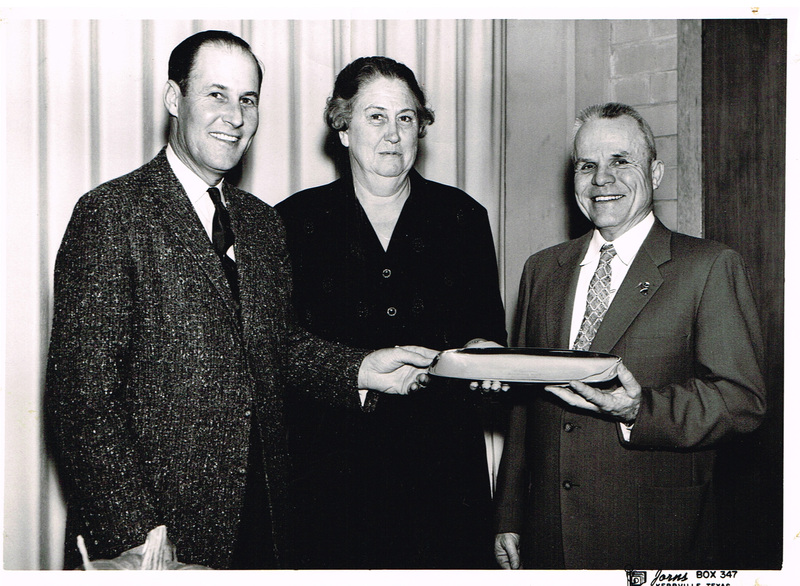 Guy and Agnes Powell with Kerr County Agent Bill Rector on November 14, 1958 4-H Banquet. 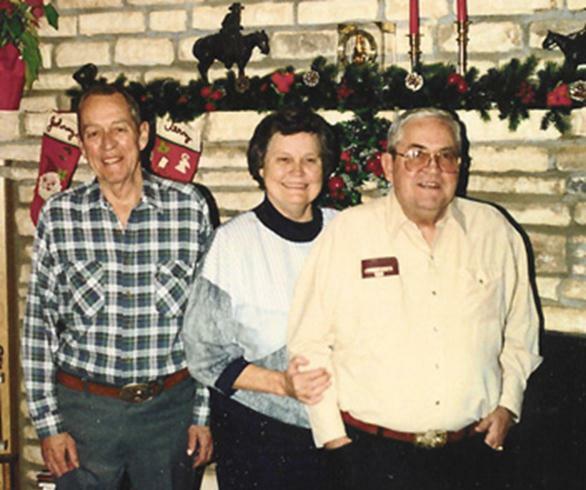 Christmas 1990, my Daddy Milroy, Aunt Emily and Uncle John. I really miss my Daddy and Uncle John and I wish much love for my ill Aunt Emily. 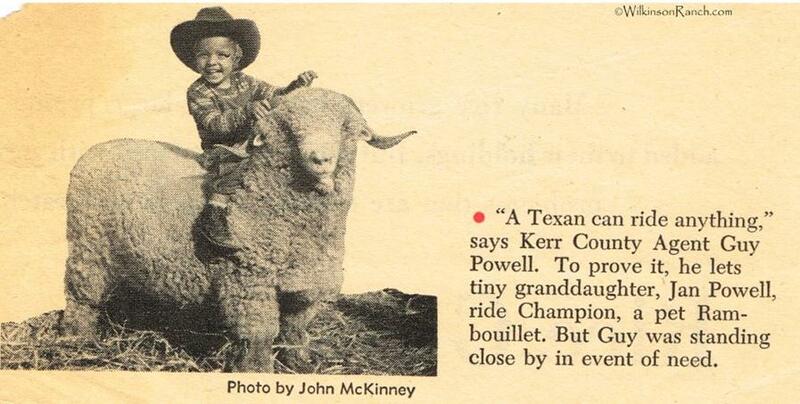 This is me!Â This photo was taken on this Rambouillet ram in 1955-56 at either the State Fair of Texas or the Southwestern Exposition and Fat Stock Show in Fort Worth, Texas. 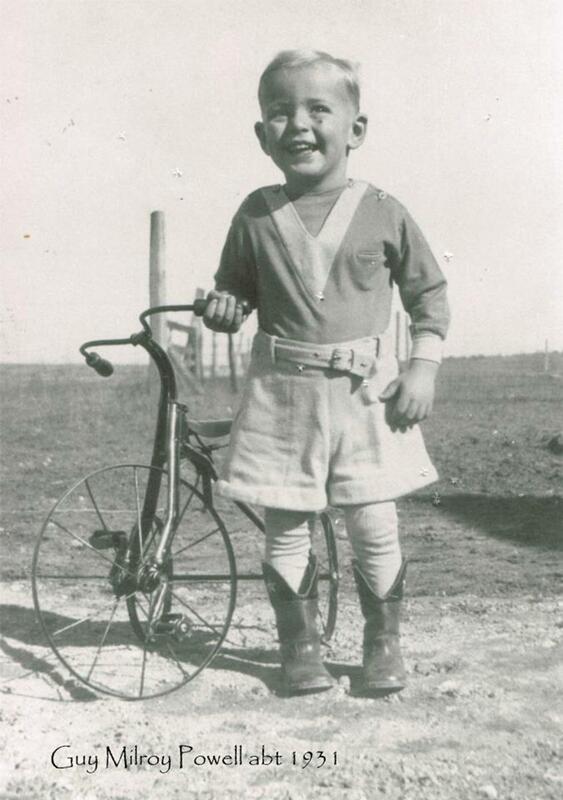 I loved my GrandPop; I actually remember this very well! Jan, I love your photos! And we probably competed against each other at stock shows! I showed Rambouillets and Angoras!